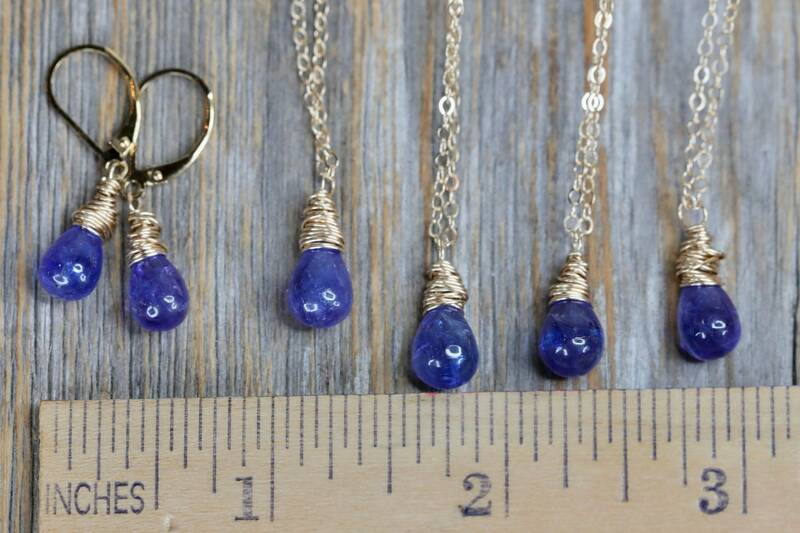 This is an ALL NATURAL UNTREATED genuine Purple Blue Tanzanite teardrop pendant necklace. The genuine tanzanite gemstone hangs from 14 Karat Yellow gold filled delicate cable chain and is finished with a 14 K gold filled lobster clasp and extender chain. 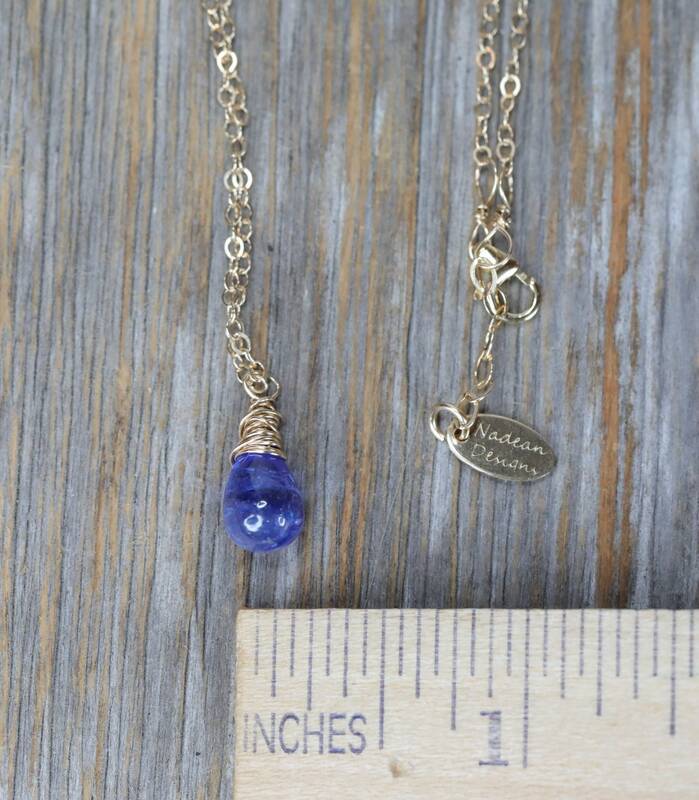 Note: Each necklace will be slightly different due to the nature of the organic gemstones. 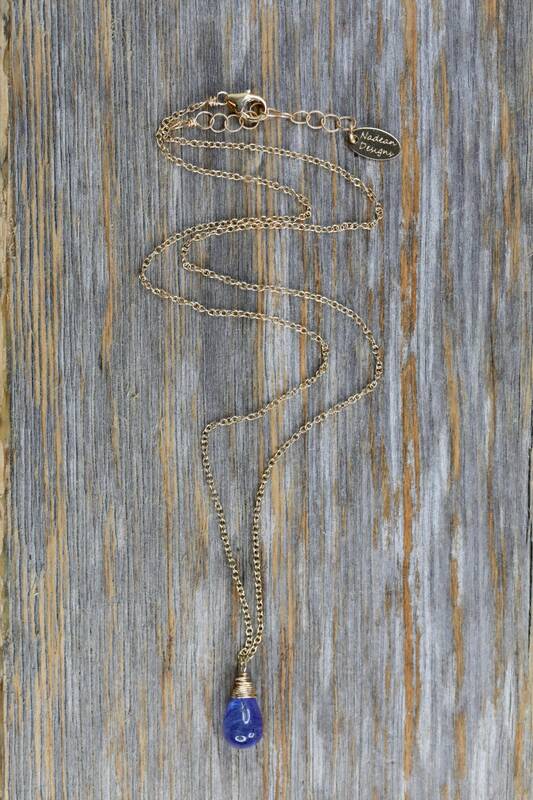 Necklaces will not be 100% exactly alike, as they are handmade individually; however, each necklace is meticulously handmade in our Arizona studio and will be matched as closely as possible to the photograph. 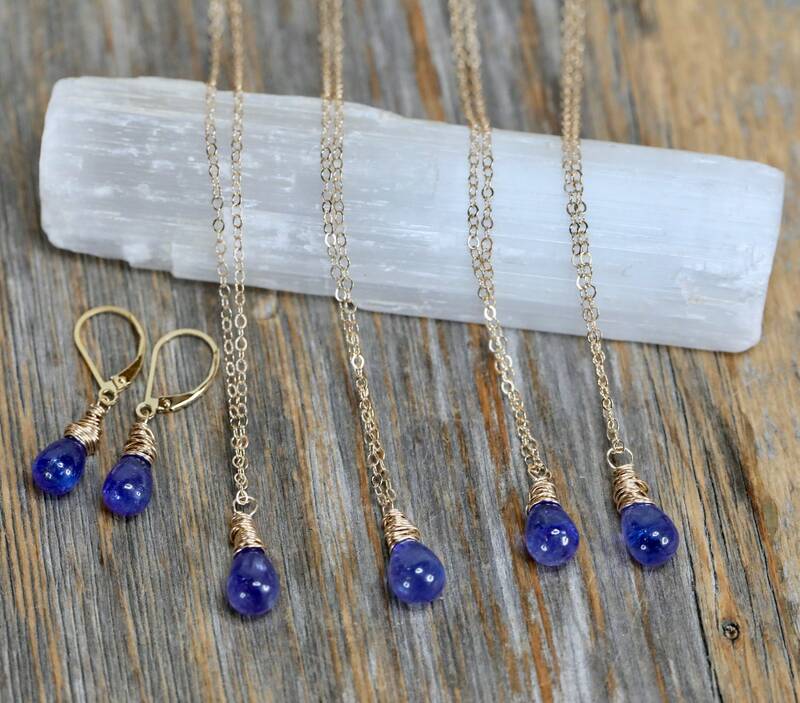 Please note, the tanzanite is a natural color and DOES have inclusions.